Company says existing VR technologies are "truly exciting," but HoloLens is different. Existing virtual reality technology such as Oculus Rift or Project Morpheus are "truly exciting," but they aren't direct competitors to Microsoft's new HoloLens technology, according to a company representative. Asked if Microsoft viewed Rift and Morpheus as competitors to HoloLens, a Microsoft spokesperson said: "Today's efforts in VR and AR are truly exciting. What we are talking about is something different." The Microsoft rep went on to explain what the company thinks will set HoloLens apart from other virtual reality and augmented reality technologies. "Holographic experiences on Windows are about delivering a mixed reality of both your digital world and your real world," the spokesperson said. "We are integrating holograms into the world around you--transforming the ways you create, connect, and explore. 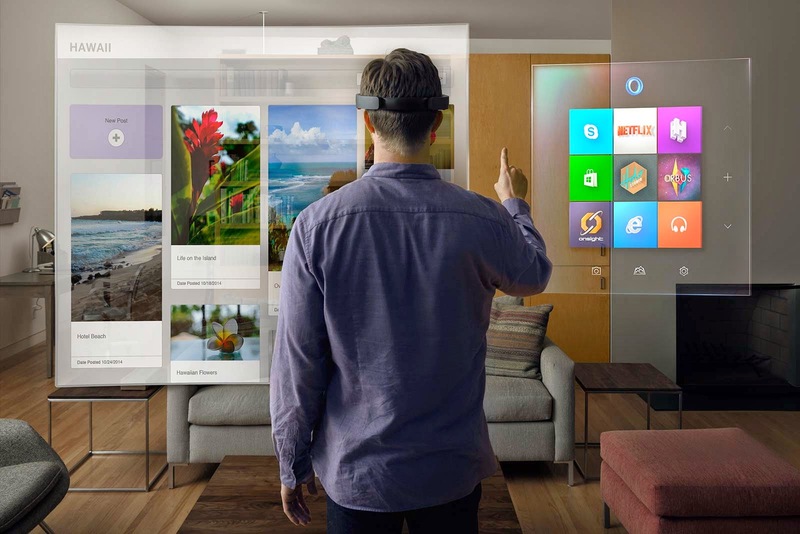 We hope holographic experiences on Windows 10 will help drive continued innovation in this category." These comments tally with those from HoloLens designer Alex Kipman, who suggested yesterday during the Windows 10 event that Microsoft wasn't intending to compete directly with established VR companies such as Oculus. "Oculus, Magic Leap, Glass developers and everyone else, we humbly invite you--come create holograms with us," Kipman said.